Jediinsider forums have a a small article about a prototype Cargo Handler. 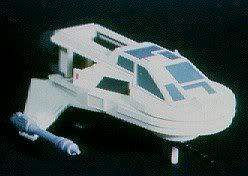 Apparently, back in 1984/85 Kenner were toying (exuse the pun) with the idea of a Mini rig cargo handler that would’ve fit inbetween the mandibles of their Millennium Falcon toy. A nice idea i thought. Here are a couple of photos. I wonder if Hasbro will try to adopt this idea for their BMF? The Falcon is a Cargo ship after all. They did sort of do this for the BMF, except it doesn’t attach to the front. It comes out the back. 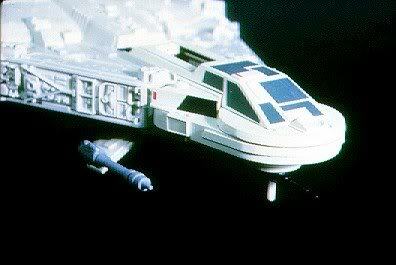 I know that there’s that escape vehicle thingie in the side, but i kind of like this as the Falcon is a Cargo vessel after all. It’s sort of like getting back to it’s roots if you know what i mean?